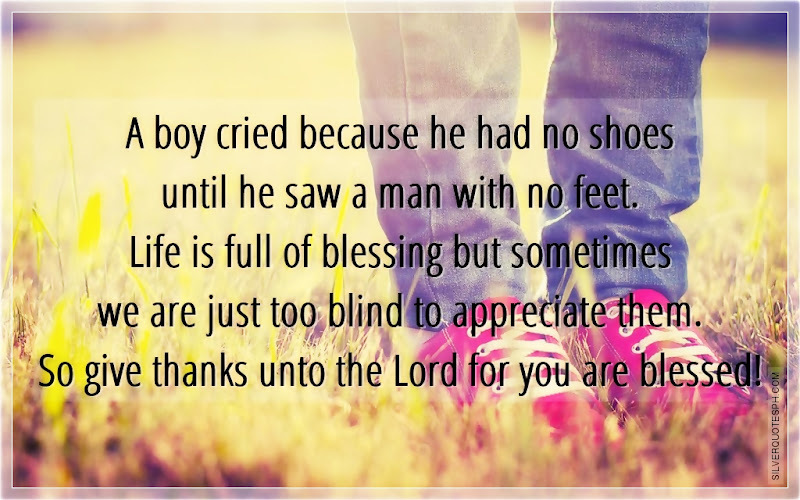 A boy cried because he had no shoes until he saw a man with no feet. Life is full of blessing but sometimes we are just too blind to appreciate them. So give thanks unto the Lord for you are blessed!